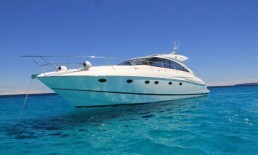 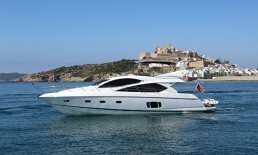 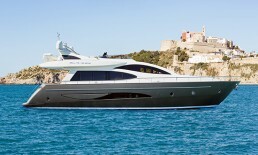 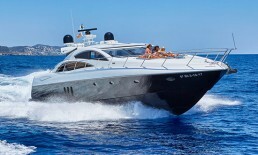 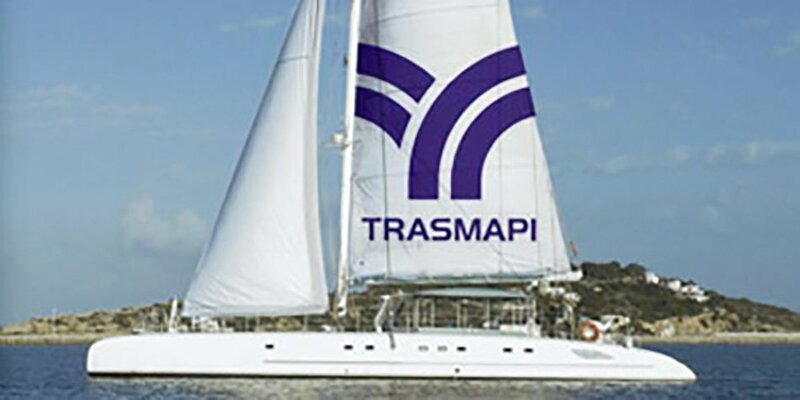 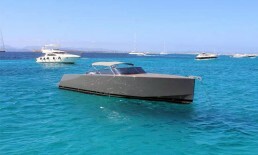 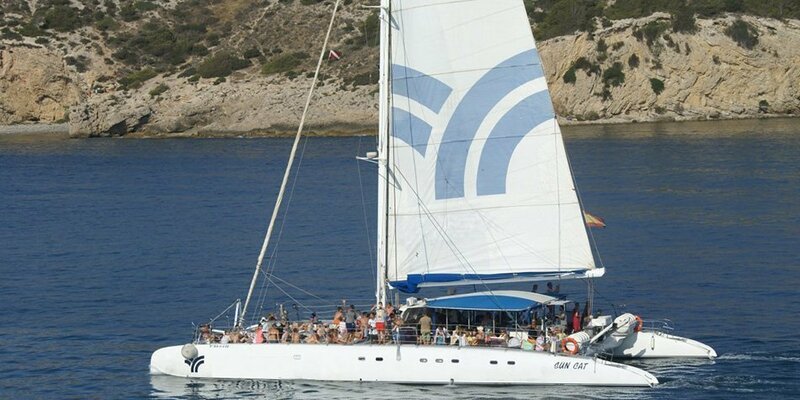 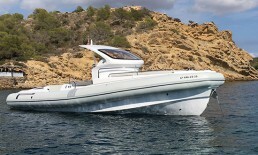 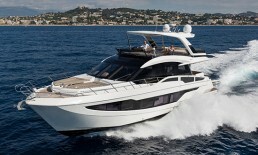 The Sun Cat Catamaran Ibiza has a length of 22 meters and a maximum capacity of 100 guest and includes a crew of four. 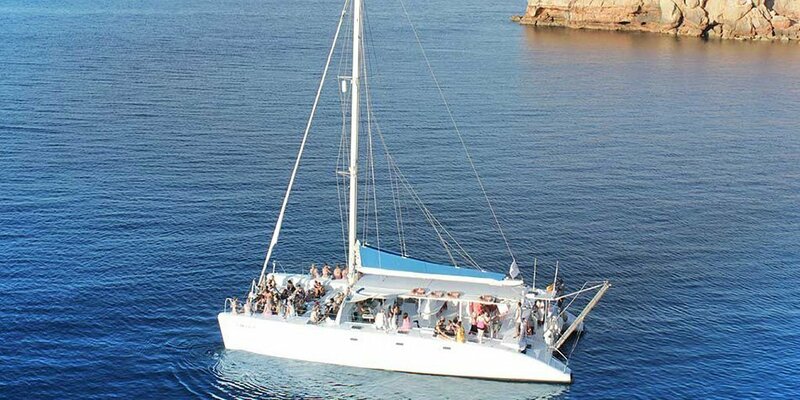 The wide covered platform gives guests the opportunity to enjoy the beautiful landscape in a shaded and comfortable way, while others can relax and enjoy the sun on the unique bow nets. 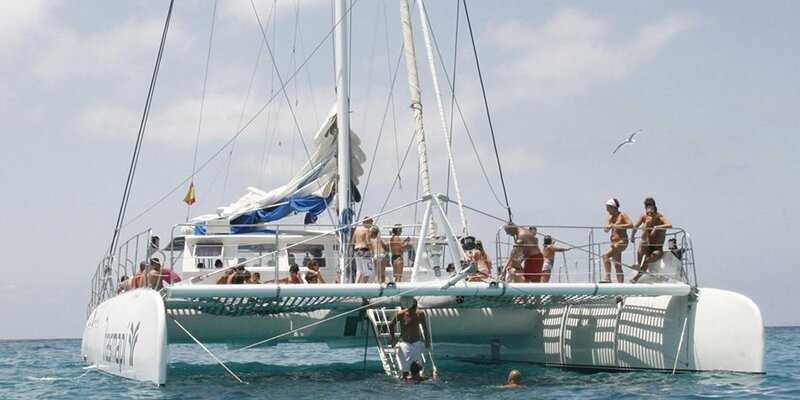 It is a real privilege to lie there while watching the blue water slide, enjoying the sound of the waves. 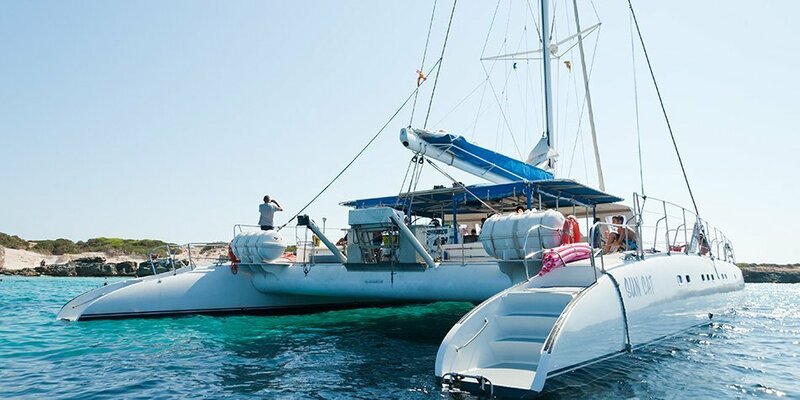 Enjoy a relaxing day, sailing silently towards a beautiful cove with turquoise waters alongside the coast of Ibiza and Formentera.